Hi, I'm Michelle! Not the regular Michelle you are used to hearing from, but the one from A Lovely Allure. I'll be talking about my favorite brow product of 2014, that I think is essential for every brow perfectionist to try. Over the course of the year I've become increasingly obsessed with my brows. So obsessed that I've managed to over-pluck them, oddly shape them, over-trim them…the list goes on. I realized that brows really are everything to a look, and there are quite a few different ways to shape the same brows, sometimes completely altering your appearance. In the past, I'd resort to being miserable until they grew back a little, then I wouldn't like it, and would crazily pluck them again. I had no idea how to use a brow pencil and the thought of putting anything creamy on my brows just scared the crap out of me. I liked my brows to look thin and sparse. 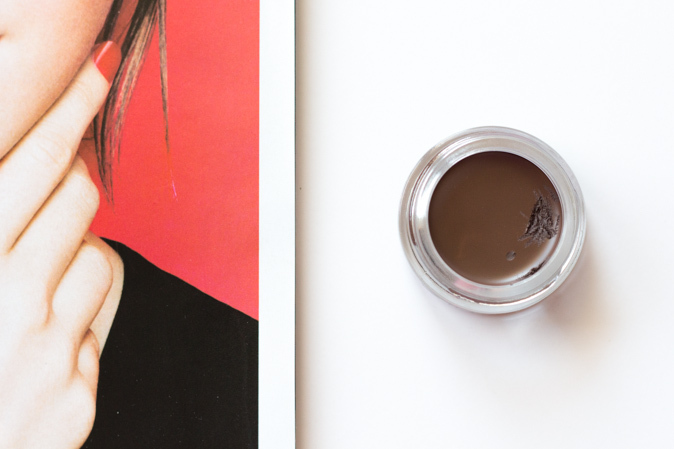 Only recently had I took the plunge (ok, it's not that expensive… but still) to pick up the Anastasia Dipbrow Pomade, a waterproof pomade that is designed to stand up in humid climates, even on oily skin. It comes in a little jar with 4g / 0.14oz of product. What is a pomade? I was asking Google the same thing.. it is defined as a 'scented ointment applied to the hair or scalp; can be greasy or waxy'. I think of it more as a gel liner, but for your brows. 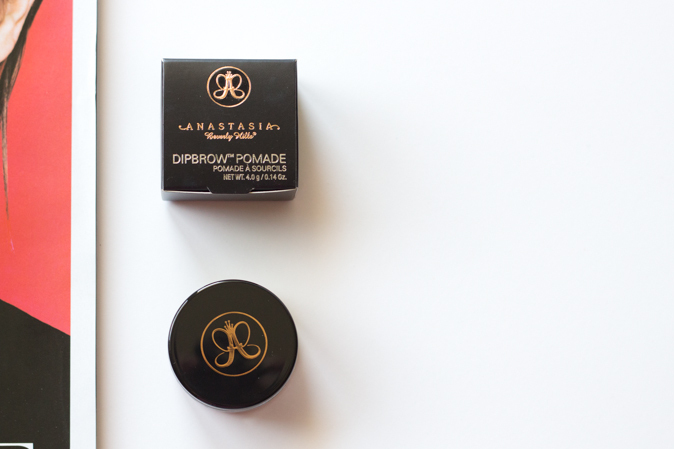 The Anastasia Dipbrow Pomade is definitely my favorite brow product of the year, and I'll likely continue to use this for years to come. 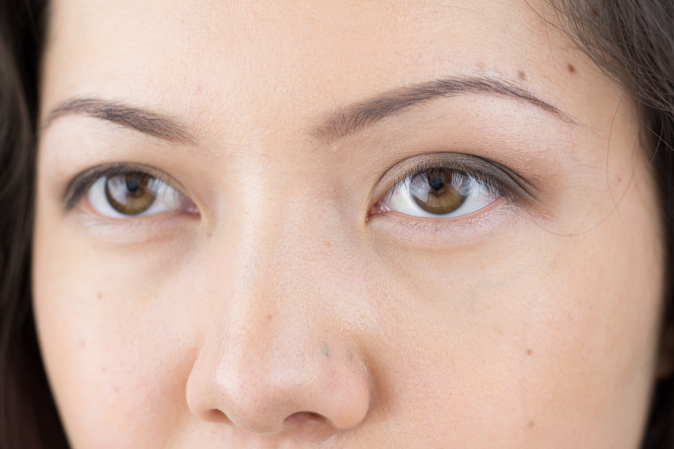 I can achieve a very well-defined and dramatic brow, or a soft subtle natural brow with the same product. I have it here in the shade, Chocolate, which seems like one of the darker shades but is actually more of a medium shade. I bought this colour back when I had a more vibrant shade of red hair. It looks suitable with both red and light/dark brown hair. It really stays put throughout the day, even after being rubbed, or I've accidentally slept with it on. I've pretty much never had to touch my eyebrows up throughout the day, unless I've been taking a helmet on and off (that's a different story!) but for typical days, it really holds up. Below is a photo, actually taken at the end of the day. I had went to the mall, then fallen asleep for a few hours and it is still looking good. All I have on is the Dipbrow in Chocolate. I did slightly use a spoolie to soften the edges to achieve a more natural brow. I am IN LOVE with the Anastasia Dipbrow, and I am so glad they released new shades too! 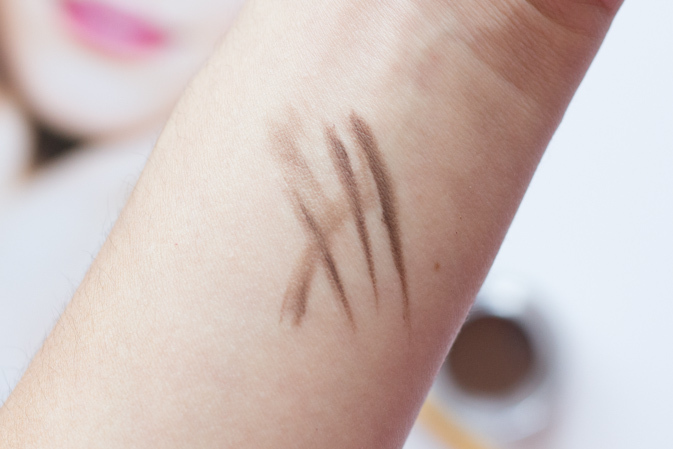 I think of a pomade as more of a gel liner but a bit more... sticky? Like it stays in place more, y'know? Anyways - this product has got so much hype, but I just can't get myself to buy it. I think it's because my brows are naturally pretty full, so I feel weird spending much money on my eyebrows. I probably should though, let's be honest. Great post, guest Michelle!